When it comes to comfort, style, and porting Apple products, this backpack is almost perfect. WaterField Designs makes a big deal out of the fact that it crafts its bags here in San Francisco; in fact, you’ll find our fair city’s name subtly stamped on the leather of its new $229 Sutter Slim Backpack. 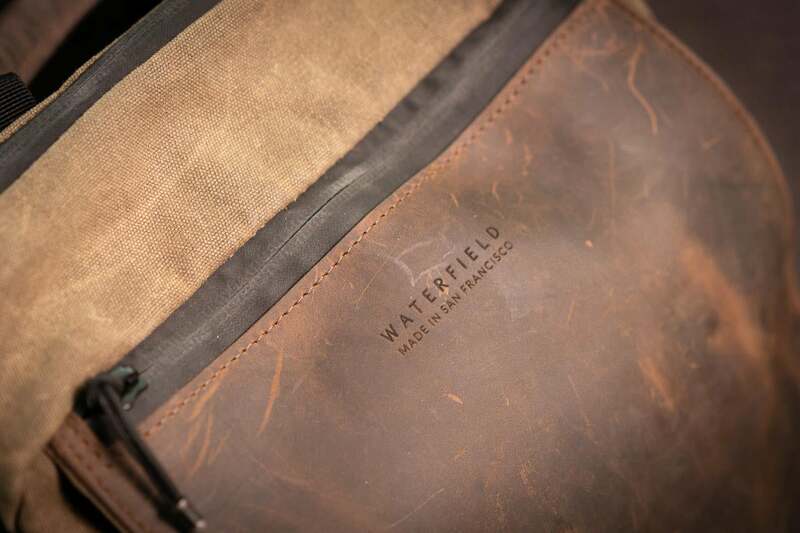 That’s par for the course with WaterField, but I find it’s particularly apt in this case. I like to think that the Sutter’s canvas and leather exterior evokes the foggy city’s rough-and-tumble origins, while its embrace of smart design and utilitarian minimalism characterizes its present. It's even named for one of the key figures of the Gold Rush. 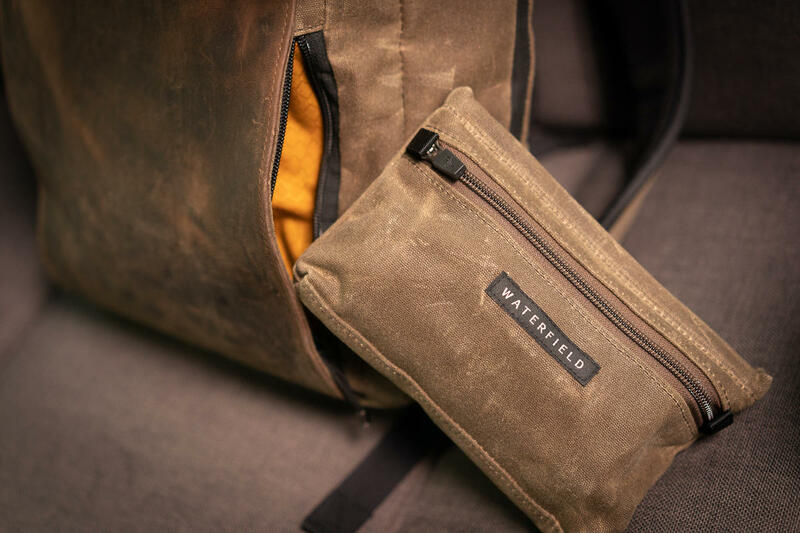 Tech, naturally, lies at the heart, and so WaterField’s latest release has slots for any portable Apple device or accessory you might toss inside. And yes, the whole thing is made here. And much like San Francisco, it’s kind of small. You wouldn’t want to drag this 15-inch tall bag along for a jaunt to the grocery store, in other words, but it’s the perfect size for a city day pack. It’s only 6.5 inches wide when it’s so stuffed that the zippers strain, thanks in part to a long full-grain leather panel, so it keeps a low profile even on crowded subway cars. With four outside pockets and two sleeves and pockets on the inside, there’s more than enough room to hold your stuff. If you need a place to store your keys, you’ll find a handy key fob dangling in the hidden lower pocket along the bottom front. WaterField cleverly concealed both the bottom and top front pockets, in fact, allowing them to stay handy without detracting from the minimalist design. The top pocket has a 8-inch zippered opening—exactly the same width as the leather panel—and it’s five inches deep, which is more than enough room for frequently used items like my AirPods, gym lock, hairbrush, and Magic Mouse. The bottom pouch also hides behind the leather panel, but you access it from either side with your choice of two zippers. I found it useful for stashing small items I rarely use but nevertheless demand quick access, such as eye drops, lip balm, and gloves. I once even managed to stash a compact umbrella in there. If you don’t feel like digging blindly in there, WaterField also makes a cool $49 pack called the "Tech Pocket" that fits perfectly. The Tech Pocket isn't necessary, but it is convenient. 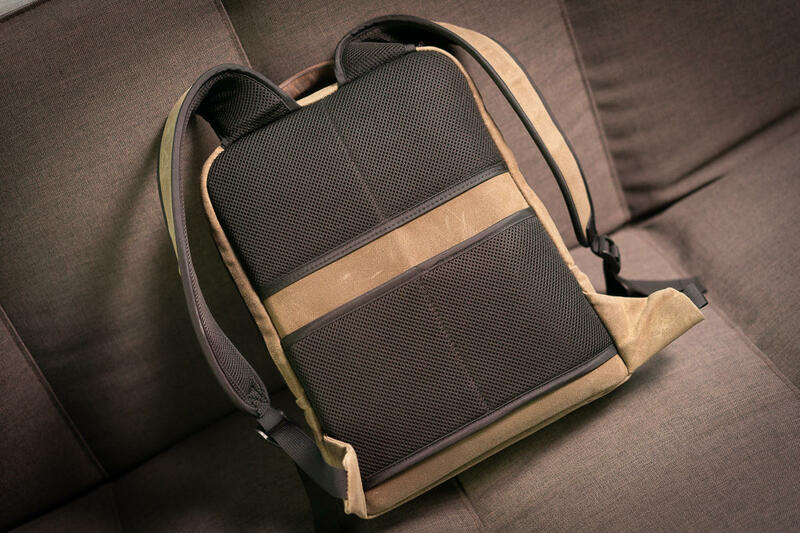 You’ll also a sleeve along the lower back that lets you slip the Sutter Slim over the handles of a suitcase, and it doubles as the mesh that airs out your back and protects the backpack from sweat. 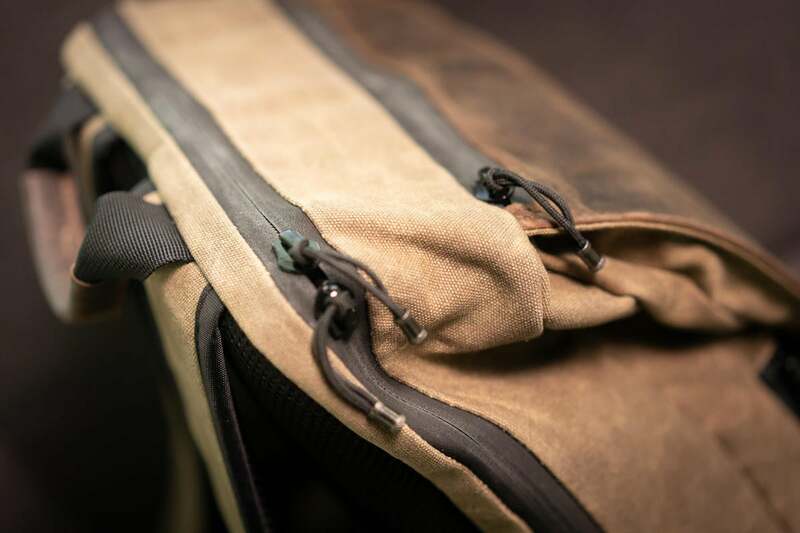 The bag itself comes in a waxed canvas with brown leather or a black nylon “ballistic” fabric with black leather. The former works well if you’re seeking a casual or rugged look, while the latter pairs well with boardrooms and expensive suits. Functionally, though, they’re the same bag, and both are tough enough to take beatings from the elements despite not being exactly waterproof. Why “exactly”? There’s a rubbery coating lining the YKK zippers that grants the illusion of a seamless bag when the zippers are closed, and I can say from experience that they do a decent job of keeping out the rain. Honestly, I got more compliments on the zippers than anything else. But it’s the inside that’s most likely to turn any Apple lover’s head, as it houses not one but two device sleeves along the back. The back one is large enough to embrace a 15-inch MacBook Pro—and such sleeves are increasingly hard to find these days—while the first one can house other flat gadgets like a 12.9-inch iPad Pro. Most of the time, though, I personally use this second sleeve for storing both my legal pad and a paperback novel. There's also a handy velcro strap that keeps both your iPad and MacBook secure. 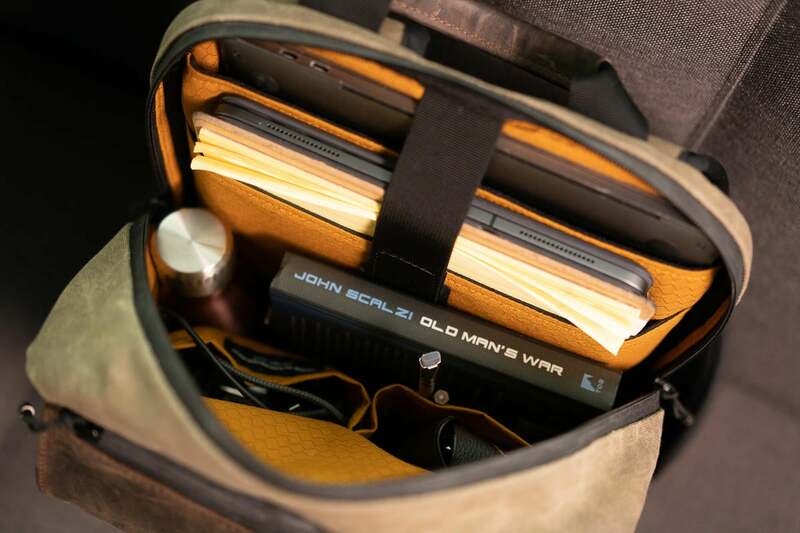 On the opposite side of the main compartment you’ll find two 6-inch deep pockets, both of which I find useful for storing larger frequently used items such as charging cables or sunglasses. The left pocket also has four pen slots clinging to its exterior, which is perfect for the Apple Pencil and the Palomino Blackwing pencils I use on a daily basis. And then there’s the 11-liter main compartment itself. It’s not huge, but there’s enough room that I can stash my gym clothes in there along with an umbrella and a metal Manna water bottle. There’s even a bit of room left over if I find myself wanting to stash something in there on the way home. 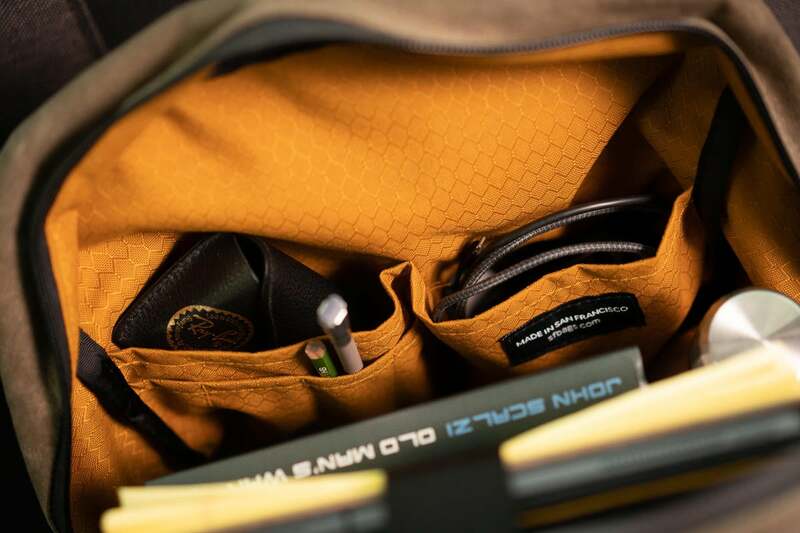 As with most of WaterField’s bags, it’s lined with a luxurious gold honeycomb fabric that makes it easier to find items. I seriously miss that honeycomb fabric when I'm using other bags. The Sutter Slim backpack doesn’t just look great; it also sits comfortably on my back even when stuffed to capacity and weighing 15 pounds (up from the empty weight of 2.2 pounds). The straps themselves are padded on the inside, while the outside sports the same canvas or nylon used for the rest of the body. The only thing that took a bit of getting used to is the canvas wings used to attach the lower bag to the front straps, as they dug into my love handles early on. Simply allowing a little slack fixed the issue. As final conveniences, the Sutter Slim backpack comes with a leather-covered handle that makes it easy to carry like a briefcase, and its stiff underside helps keep the bag upright when you set it down. I first thought these were some kind of thin pockets. Good thing I quickly realized my error. My, this is a lovely backpack. In design, it’s a first cousin of the Sutter Tech Sling I reviewed and loved back in November, but this is a better option if you need to lug around a device as hefty as the 15-inch MacBook Pro. It’s got more room in general, for that matter, and I admire the convenience of its deep top pocket. At $229, it’s well-priced for the quality you’re getting. 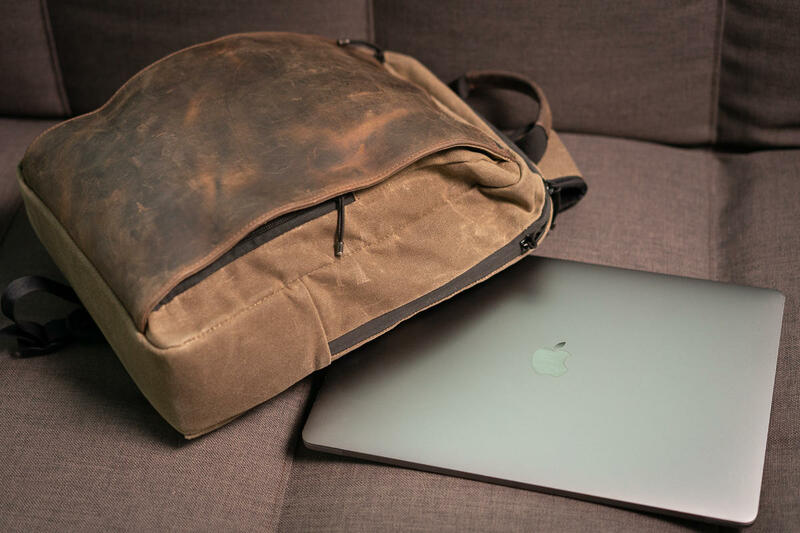 As I’ve said about other WaterField products, it’s as smartly designed as anything that comes out of Cupertino, and that makes it a perfect companion for any collection of portable Apple gear.